How to deal with guilt after Losing Control! It’s a slow stressful Wednesday and work was full of backed up paperwork and a stressed out boss. You start to look forward to the quiet drive on the way to picking up your kids, but you get caught in traffic. Almost 5 minutes late picking up your three children from school and angrily rush them in to the car. As soon as they place their seat-belts on, the yelling, the kicking, the screaming and the back to back questions begin. As patient as you normally are, you can’t handle the noise, the complaining and the back to back questions, so you pull over to the side, park your car and place your hands on your head your youngest is crying and the oldest is taunting her. You turn to the back seat and you just explode! Has this ever happened to you? Well, you are not alone! Your explosion produces the desired silent drive home but you can’t help but feel the guilty feelings in your core. You start to wonder if you were too mean, and if there was another way you could’ve handled the situation. As parents, we often reflect back on how we handled situations with our children and gauge whether we handled it properly. Understand that you are human, and you will get frustrated with your children. However, you can lessen those occurrences and minimize the collateral damage. What’s triggering you to lose your cool? The first step is to figure out what sets you off and why it’s setting you off. Could it be that work is becoming stressful? The workload is too much because the holidays is right around the corner? Or have you simply had enough of your child talking back? Whatever it is that’s pressing you to lose your cool, address it within yourself first. Pay attention to how tension builds up within your body quickly. Does your hear palpitate, does your face turn red, do you start to clench your fists, RECOGNIZE THE SIGNS OF LOSING CONTROL. Once you recognize your triggers and how it manifests in your body, be proactive by responding to your body. Walk away if possible: By walking away from your child or preteen, you are modeling acceptable behavior that will help them learn that sometimes they need to walk away. Especially if they’re upset or someone is making them upset. Before walking away, let them know that you are starting to lose control and need to step away to calm down..but that you will be back to continue to conversation. Breathing Techniques: Teach yourself how to breathe in and breathe out. By closing your mind to the madness around you and being able to ground yourself and your thoughts, you are also teaching your child that when they’re upset that they should try breathing. Breathing is a healthy way of grounding your thoughts and feelings, by doing this you will calm down and be able to address your child without losing your cool. “I feel frustrated because I had a long day at work. I would like you to help make my day better by helping me set the table for dinner” By using the “I” messages and addressing your child or preteen, they hear how you’re feeling and know how their actions are affecting you. 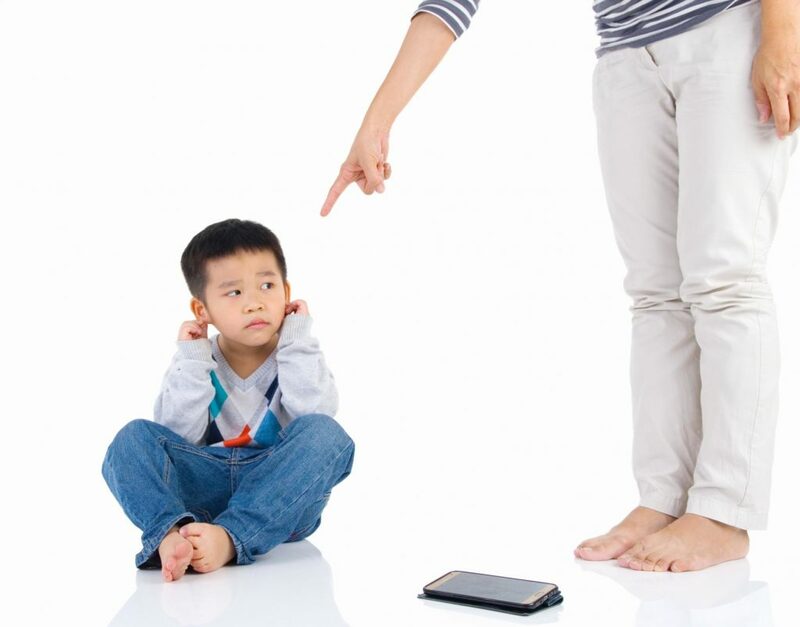 Instead of being assertive, many parents fall into the trap of ignoring, being sarcastic, losing their cool or swearing. These communication tactics send a strong message that they can do the same when frustrated. Its okay to lose control a times – and when we do should be mature about it apologizing for losing your temper is key. We want our children to problem solve effectively and by showing them that you take responsibility for losing control; they too can be accountable for their actions. The restlessness and lack of problem solving in the busyness of life can cause us to self blame. The guilt can start to weigh in on us as we struggle with accusatory self talk like “why did I say that?” “Am I a bad parent? “This explains why my child throws tantrums” It’s important to take care of yourself as a parent. Children will be more impacted by what we do rather that what we say. By learning and practicing self care, we send a strong message that we are indeed “human” and as a result limited. If you’re a parent and you feel like your emotions are getting the best of you and causing conflict between you and your child, please contact us at Positive Kids. Positive Kids is offer Parenting Programs, where we help parents build skills and learn ways to collaborate with children who exhibit behavioural problems. Call Positive Kids to see how we can help you parent with integrity and strength.